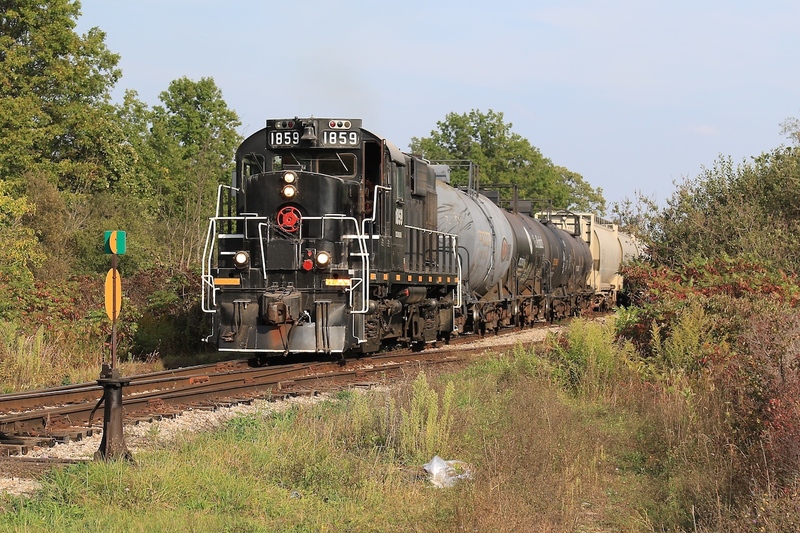 Railpictures.ca - Craig Allen Photo: After spending the day working in Port Colborne and south Welland, 1859 pulls 25 cars through WH Yard and on towards Feeder Yard where the cars will be dropped off. | Railpictures.ca – Canadian Railway Photography – photographie ferroviaire Canadienne. Caption: After spending the day working in Port Colborne and south Welland, 1859 pulls 25 cars through WH Yard and on towards Feeder Yard where the cars will be dropped off. Great shot, I haven’t seen trillium in ages.